Arsenal are truly buoyant after a breathtaking and suspenseful final act to their 2013-14 campaign brought them the FA Cup, a hard-earned and long-awaited piece of silverware. Yet with the thrill of the 2014 World Cup almost upon us, and the mania of transfer season immediately in its wake, Arsene Wenger and his team of scouts have no call to rest on their laurels—speculation is already rife, surrounding one name in particular: Real Sociedad and France attacker, Antoine Griezmann. Media coverage since the turn of the year has pondered the possibility of Griezmann leaving San Sebastian on Spain's northern shores for the English capital. Within 2014's first fortnight, Portuguese writer Goncalo Lopes reported a €15million offer from the Gunners for Griezmann—the subsequent speculation was a topic on which I opined days later. Fast-forward to March, and the aftermath of the winter transfer window, and Griezmann was linked with a move once more. This time, it was the turn of The Guardian's Barry Glendenning to report the latest from the rumour mill, suggesting Wenger's was a long-term interest in the Frenchman's capabilities and that a bid—somewhere in the region of Griezmann's £25 million valuation, perhaps—was to be expected in the summer months. Which brings us to this past week, in which media outlets have been awash with conjecture surrounding a long-awaited, much-debated permanent move from the Basque Country to north London. You need only make a quick search to find varying sources—for ease's sake, Metro.co.uk wrote of an £18 million bid from the Gunners, as reported here on B/R on Monday. So the interest—whether it's been purported by the media or is the genuine article—appears to be there. It's not rocket science to fathom why. Griezmann has had an excellent season for La Real and was a vital contributor to the side's seventh-placed finish in La Liga. His 16 goals in league competition was the joint-highest for the men in blue and white, tied with former Arsenal man Carlos Vela. Coming from 35 appearances, Griezmann averaged a goal in just over every two games—a remarkable return for a 23-year-old whose contributions primarily came from the left wing. Griezmann's goalscoring exploits are even more remarkable—and, for Arsenal, even more attractive—when considering that's a slightly better goalscoring record than Olivier Giroud, who managed the same amount of goals in 36 appearances. It's quite clear in this regard that Arsenal, despite having contributions from their midfielders in terms of goalscoring (namely, one Aaron Ramsey), struggled for firepower at times this campaign. The Frenchman's season wasn't exactly perfect, however. Fluctuations in form hindered Griezmann's season: A magical period early on in the season—netting seven goals, including two braces, in five league games—was offset by a barren spell in the campaign's closing months, as he registered only one goal from the end of February to the end of the season. His first taste of Champions League football left a sour note, too: As Real Sociedad crawled to fourth place in Group A, Griezmann failed to set the tournament alight and recorded some humdrum performances, contrasted with those that were a touch more encouraging. In his favour is that while he didn't record any assists and a solitary goal after La Real's 3-1 win over Barcelona, he was still a crucial man for his side despite his team's unremarkable finish to the league campaign. Form fluctuations or nay, Didier Deschamps was undeterred in his admiration for Griezmann, and a call-up to France's World Cup squad followed a first international cap—a 2-0 win over the Netherlands in Paris back in March. There is no finer stage than the World Cup for a young player to display his talents and increase his market value, and while he likely won't start, Griezmann has potential to provide impact and explosiveness off the bench. With France sitting pretty in an underwhelming Group E, Griezmann may have to wait until June 20 and his country's clash with Switzerland to exhibit his footballing proficiencies against formidable opposition—or, indeed, after that, should France find themselves in the knockout stages. However, we need not wait until the World Cup to begin to understand why Griezmann is a player so highly coveted by some of Europe's top clubs. Arsenal, especially, would be an excellent match for the Frenchman—and not just because Griezmann himself is thought to fancy the Premier League over, say, Serie A. He has strengths that would fit him in Arsenal's system and squad hand in glove. Alongside his prowess in front of goal, Griezmann has remarkable vision, ball control and retention, and loves to cut inside from his favoured left side. An intelligent attacker, his potential to link up with Mesut Ozil—making incisive bursts, quick lay-off passes and one-twos—is a particularly juicy prospect to ponder. His versatility makes him incredibly useful, another trait that Wenger is known to admire. Although his most prominent contributions come from the left wing, Griezmann can feature as a classic No. 10 and on the right wing as well, which would give Le Professeur options alongside the likes of Lukas Podolski, Santi Cazorla, Theo Walcott and Ramsey in Arsenal's advanced midfield trio. 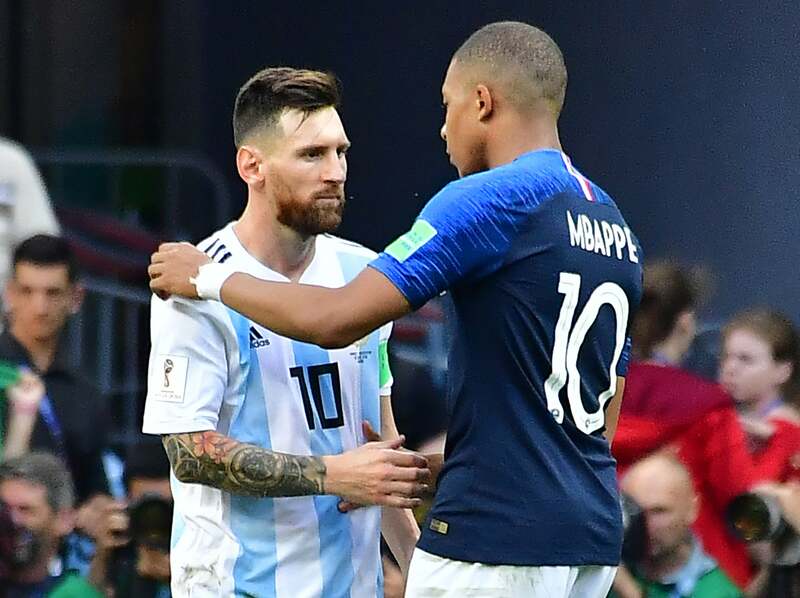 His shortcomings—namely inconsistency, maybe nerves on the big occasions too—will be nurtured not only with time, but with excellent coaching too. Wenger is a great man-manager and would only improve Griezmann's attitude and temperament. Coming to Arsenal brings great expectations, but Griezmann would not necessarily be expected to carry the load from day one. Indeed, he would be joining one of the most talented midfield groups in England, and fighting for his place week in, week out might be something the Frenchman would relish after being a shoo-in for the teamsheet at La Real. His goalscoring contributions, too, wouldn't be as anticipated as they were at Anoeta. With Giroud, Ramsey, Walcott and others all capable of beating opposing 'keepers, Griezmann will be throwing his hat into the ring with any and all additions to the Gunners' firepower. However, what makes this potential move so exciting is timing. Timing for both Griezmann and Arsenal. Griezmann turned 23 in March, and with youth and the chance to prove himself at the highest level on his side, his future is looking increasingly rosy. Arsenal have just rebounded from an agonising nine-year wait for silverware to taste the champagne of FA Cup triumph. They are now a club looking to expand on success; cement their place in Europe, contend with the continent's biggest clubs and stay firmly at the Premier League's upper echelons. A move at this age—with four or five years of Premier League action helping him grow into his prime—to a club renowned for nurturing talents and turning them into world-beaters makes perfect sense for Griezmann. Arsenal themselves need to bolster their squad with top quality, potentially world-class players in order to continue their contention for silverware. With rivals strengthening around them, it is imperative the Gunners act accordingly. Griezmann could hardly wish for a better place to hone his skills and grow into a top-quality footballer. He's the kind of player Arsenal would love to have, and Arsenal is the sort of place deserving of his talents. It's a match made in footballing heaven. All statistics provided by WhoScored.com unless otherwise noted. Have an opinion on Antoine Griezmann? I'd love to hear it—leave me a comment below, or find me on Twitter: @callumlarr.